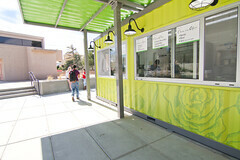 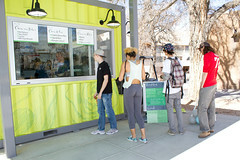 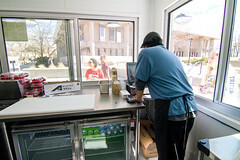 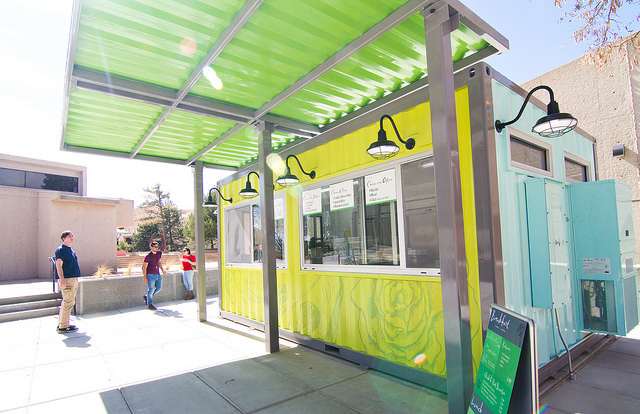 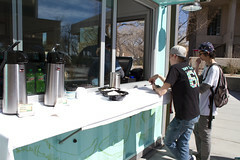 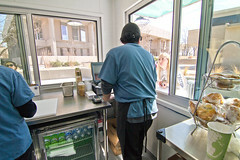 In partnership with Compass Group, University of New Mexico will open their shipping container Burrito Stand, Fresh Box- designed, fabricated, and installed by Boxman Studios. 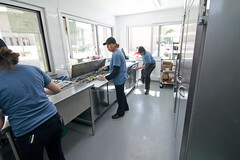 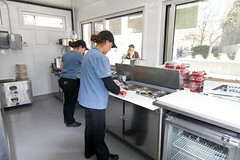 Fresh Box will be used for warm service, meaning none of the food will be cooked in the container. 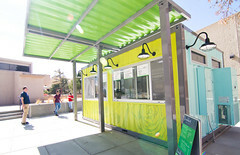 Instead, the kitchen and food preparation equipment will be used to store fresh produce, cool beverages and steam tortillas.